Radical cystectomy is the gold standard treat-ment for muscle invasive (stage T2 – T4a) bladder cancer, but is associated with a high incidence of complications, readmissions, and mortality [1–3] partially because of the magnitude of surgery and partially because of the significant comorbidity bur-dens patients who develop this disease have [4, 5]. Aside from reduced blood loss, as opposed to renal and prostatic surgery, advantages of minimally invasive cystectomy, despite claims from retrospec-tive clinical series, have not been borne out in randomize prospective assessments , although the results of larger studies are pending. However what is clear is that adopting information gained from colorectal surgery, enhanced recovery after surgery (ERAS) protocols have resulted in con-siderably shorter lengths of hospital stay (LOS) without increasing postoperative complications or readmissions. Two recent publications [1, 7] and two structured reviews [8, 9] confirm this. However the diffusion of many aspects of ERAS protocols has not occurred although many urologic oncologic surgeons claim to adhere to them . Despite this, because of improved intensive, anesthetic and perioperative care, and increased centralization of cystectomy surgery, more cystectomies are being performed with lower operative/postoperative mor-talities and improved long-term survivals . Factors impacted by ERAS protocols are enu-merated in two recent structured reviews [8, 9]. These highlight the need for intensive preoperative nutritional assessment, comprehensive patient edu-cation by many caregivers (i.e. surgeons, geren-tologists, anesthesiologists, nurses, wound-ostomy specialists), excellent communication between sur-gical and anesthesia teams, minimized preoperative dehydration/starvation, preoperative carbohydrate loading, omission of nasogastric tubes or remov-ing them immediately after surgery, attention to intraoperative and postoperative pain management, limited use of opioid narcotics, early postoperative ambulation and feeding, routine use of intra-and postoperative venus thrombo-embolic (VTE) pro-phylaxis, and intensive post hospital discharge monitoring and follow-up. Moreover, accurate mon-itoring of intra-and postoperative adherence to protocol is critical, not only in documenting events for scholarly and quality improvement purposes, but also making certain that patients do not “slip through the cracks”. This is a fundamental shift for most urol-ogists and most bladder cancer patients, who, because of their advanced age and comorbidities , as well as their variable disease states, represent a very chal-lenging set of patients to fit into any regimented protocol. That several of the published series have reported outcomes in consecutive patients with lim-ited or no exclusions  attests to the effort expended by those choosing to carry out these programs. While modifications to these protocols have occurred, and clearly some patients cannot receive all elements – some key factors, a few of which have been supported by level 1 evidence in radical cystectomy patients, merit mentioning: 1 – the use of Alvimopan, a peripherally active u-opioid recep-tor antagonist, with a single preoperative oral dose and twice/day oral doses post operatively for up to 7 days unequivocally reduces opioid induced ileus and speeds up return of postoperative bowel function , and 2 - some form of intraoperative fluid restric-tion also results in less postoperative ileus and a lower need for transfusions [8, 9, 12, 13]. With these and other supporting data [1, 7], how often do urologists enact ERAS protocols? A survey was sent to Society of Urologic Oncology members with a self-identified special interest in bladder can-cer, asking whether they consider themselves ERAS adapters and inquiring specifically about adherence to seven components of virtually all ERAS proto-cols (comprehensive preoperative education, bowel preparation avoidance, nasogastric tube avoidance, intraoperative normothermia, opioid avoidance, early ambulation, and early feeding) . While nearly half of the bladder cancer surgeons contacted responded to the survey, and 64% of respondents considered them-selves to adhere to ERAS principles for cystectomy, only 20% practiced all 7 interventions. It is not sur-prising that their average LOS was self-reported at 6.1 days, while for the series with stricter adherence to ERAS principles LOSs from 3–5 days were rou-tinely reported [1, 7]. It is probable that had the survey involved the rigid monitoring and archiving used by these and other groups, rather than self-reporting, longer LOSs and even less adherence would have been found . But while considerable progress in optimizing recovery from cystectomy has occurred, further improvements in care of cystectomy patients seems quite possible. Relatively ‘low hanging fruit” include enhanced preoperative and postoperative immuno-nutrition, more standardized management of intraoperative and postoperative fluids, and rig-orous postoperative stent management and removal protocols, could all reduce short term complications and readmissions. But despite relatively limited adoption of ERAS protocols and the existence of obvious areas where improvements are needed, we are doing better. Using the United Kingdom’s National Cancer data repository for 1998–2010 , Hounsome and colleagues – reported a 56% increase in RCs per-formed per year (from 969 in 1998–2000 to 1496 in 2008–2010) despite a stable number of new cases of bladder cancer being diagnosed during the same interval. Deaths within 30 days and 90 days after RC decreased by 59% and 50%, respectively during this time, with the greatest improvements being seen in the elderly. One and five year overall survival for RC patients improved from 71% to 80% and 49% to 56%, respectively (each p < 0.001). However, stage specific RC and survival/mortality rates could not be determined because of poor adherence to reporting TNM staging, so whether this improvement is due to improved care or shift to lower stage patients under-going RC is not certain. During this time there has been a trend to centralization of this procedure with cystectomy centers performing 3 times the number of RCs in 2010 as they did in 1998. Given that ERAS programs were only being formally rolled out in Eng-land in 2010, further improvements, particularly in short-term outcomes, can be anticipated. Kukreja JE, Messing EM, Shah JB. Are we doing “bet-ter”? The discrepancy between perception and practice of enhanced recovery after cystectomy principles among uro-logic oncologists. Urol Onc 2016;34. Tan WS, Lamb BW, Kelly JD. Complications of radical cystectomy and orthotopic reconstruction. Adv Urol 2015. Hounsome LS, Verne J, McGrath JS, et al. Trends in opera-tive caseload and mortality rates after radical cystectomy for bladder cancer in England for 1998-2010. Eur Urol 2015;6:1056-62. Scosyrev E, Golijanin D, Wu G, et al. 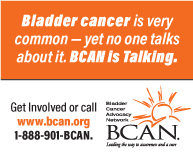 The burden of bladder cancer in men and women: Analysis over the years of life lost. BJU Int 2012;109:57-62. Scosyrev E, Wu G, Golijanin D, et al. Non-bladder cancer mortality in patients with urothelial cancer of the bladder. Urol Onc 2013;31:656-63. Bochner BH, Dalbagni G, Sjoberg DD, et al. Open radical cystectomy and robot-assisted laparoscopic rad-ical cystectomy: A randomized clinical trial. Eur Urol 2015;67:1042-50. Matulewicz RS, Brennan J, Pruthi RS, et al. Rad-ical cystectomy perioperative care redesign. Urology 2015;86:1076-86. Kukreja JE, Kiernan M, Schempp B, et al. Quality improvement in cystectomy care with enhanced recovery (QUICCER Study). Brit J Urol Int, in press, 2016. Lee CT, Chang SS, Kamat AM, et al. Alvimopan acceler-ates gastrointestinal recovery after radical cystectomy: A multicenter randomized placebo-controlled trial. Eur Urol 2014;66:265-72. Wuethrich PY, Studer UE, Thalmann GN, et al. Intraop-erative continuous norepinephrine infusion combined with restrictive deferred hydration significantly reduces the need for blood transfusion in patients undergoing open radical cystectomy: Results of a prospective randomized trial. Eur Urol 2014;66:352-60. Pillai P, McEleavy I, Gaughan M, et al. A double-blind randomized controlled clinical trial to assess the effect of doppler optimized intraoperative fluid manage-ment on outcome following radical cystectomy. J Urol 2011;186:2201-6. Xu W, Daneshmand S, Bazargani ST, et al. Postoperative pain management after radical cystectomy: Comparing tra-ditional versus enhanced recovery protocol pathway. J Urol 2015;194:1209-13.